You may have exceptionally good genes but a good hair care routine is the best thing you can do to maintain the healthy lustrous mane your momma or papa gave you. 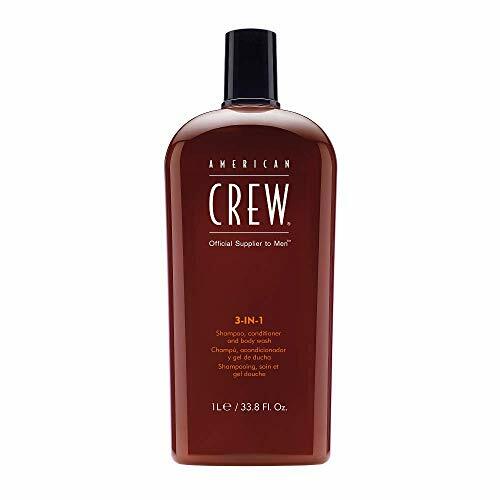 In your younger days, you may have gotten by with the 2-in-1 bargain buy shampoos but now that you’re a man, you need to give your mane some much needed and deserved TLC. However, the thousands of hair care products in the market is enough to overwhelm any well-groomed gentleman. That’s why we’ve done the research for you and rounded up the best shampoos and conditioners for men. But first, let’s cover the basics of hair care for men. My Favorite Shampoos in a Short List! Why Should Men Even Use Shampoo? How To Apply Shampoo To Your Hair? If you’re short on time, here’s a quick recap of our favorites. Got 5 minutes? Keep reading to learn about what makes for a good shampoo. Most of us know that shampoo cleans and makes our hair smell great. But there is more to shampoo than that. Shampoos are formulated with surfactants that lower the surface tensions of oils in order for water to mix with them and clean them off. However, there is a growing movement (the no-poo movement) that is warning off from using shampoo entirely. If you don’t use shampoo, water would basically be useless on your hair. The water would be repelled by the oils in your hair and you will leave the shower with a dirty hair and scalp. There are several types of shampoo for men. Because we typically have hair that is shorter than three inches, most ordinary shampoos work for the average joe. But it is important that you select the right type of shampoo that specifically targets the problems you’re having with your scalp. Be it dryness, oiliness, dandruff, etc. Wondering what shampoo works best for you? Well, it depends. Shampoos for normal hair don’t strip natural oils from your hair and scalp because they are gentle. That it why they work for most men. Shampoos for oily hair have cleansers that remove as much oil from your hair and scalp as possible. That is why this type of shampoo works for men with oily scalps but may cause a lot of dryness for men with normal scalps. Shampoos for dry hair or moisturizing shampoos are made to add moisture to your hair and scalp. If you have really dry hair, this is your best bet. If you have normal hair, stay away from them as they may weigh down your hair. Thickening shampoos or volumizing shampoos usually contain glycerin which enables your hair to retain water and expands the hair strand by lifting the cuticle (a hard shingle-like layer that resembles fish scales when placed under a microscope). Your cuticles usually lie flat but when you use a thickening shampoo, your cuticles open up and swell the hair shaft. It is in that state that your hair is most vulnerable which is why it is recommended that you use a good conditioner. Dandruff shampoos are made to tackle itching and flaking that is tied to dandruff. Before using a dandruff shampoo, you need to ensure that you actually have dandruff (or seborrheic dermatitis if we really want to get scientific). Dandruff causes thick flakes which irritates the scalp. If you see smaller white flakes, that usually means that your scalp is dry—you don’t have dandruff. You just need a moisturizing shampoo and conditioner. You can start by alternating between a dandruff shampoo and a moisturizing shampoo since dandruff shampoos cause excessive dryness. Clarifying shampoos are made to remove excessive buildup of products in your hair and have a higher acidic content than other shampoos. It’s a good pick if you use a lot of styling products or if you are a swimmer (swimmers have a lot of chemicals left in their hair from pools). You shouldn’t use this type of shampoo more than once or twice a month as it can cause dryness and damage due to the high acid content. Let’s reveal the different shampoos for different hair types. Those with sensitive hair should opt for sulfate-free shampoos which are milder. Most shampoos should not be used daily. How often you use one depends on your lifestyle, the health of your hair and your hygiene needs. Simply apply a small amount of shampoo in the cup of your hand and rub your hands together before distributing the product in your hair. Then gently massage the shampoo into your hair and scalp with your fingertips. Rinse thoroughly with lukewarm water and voila! Conditioners are formulated to add moisture to your hair and scalp. They usually soften your hair, make it more lustrous and prevent tangling. Their common ingredients are silicone or fatty alcohols and today’s conditioners usually work without leaving your hair greasy or heavy. Think of them as fabric softeners for your hair. Just like shampoos, there are different conditioners for different hair types. Moisturizing conditioners have ingredients that help your hair to retain moisture and are perfect for those of us with coarse, dry or curly hair. If your hair is unusually dry, it is best to use conditioners with essential fatty acids which are similar to the sebum your scalp naturally produces. Thickening conditioners or volumizing conditioners make your hair look thicker by coating your hair with a layer of protein. They can help with damaged hair as they help to fill in the gaps in your hair cuticle and also add softness and shine to your hair. They are great for those of us with damaged, limp or fine hair. Leave in conditioners work like face moisturizers in that they nourish your hair. They are not rinsed out. They instead stay on your hair all day to help you manage it better and protect it from the sun, if it contains sunscreen. Deep conditioners are treatments that are used weekly, monthly or twice a month to remedy dryness or breakage. Similar to other conditioners, they are rinsed out after use. But you usually have to leave it in your hair for a longer period of time for the ingredients to penetrate your hair strands. Clarifying conditioners are made for those of us with oily hair. They are specifically formulated to reduce excess scalp oils and also to balance oil content on the scalp. All while conditioning the hair. Let’s recap which conditioners are best for the different hair types. Leave in conditioners can be used by all hair types. Simply use if you experience unusual dryness or breakage. Those with a sensitive hair or scalp should use sulfate-free conditioners which are more gentle. Most conditioners can be used daily. Simply apply some conditioner to your strands and leave it in your hair for a couple of minutes for maximum effect. Perhaps you can use that time to shave your face. Then rinse the conditioner out with lukewarm water. Here are the 5 best shampoos and conditioners for men. 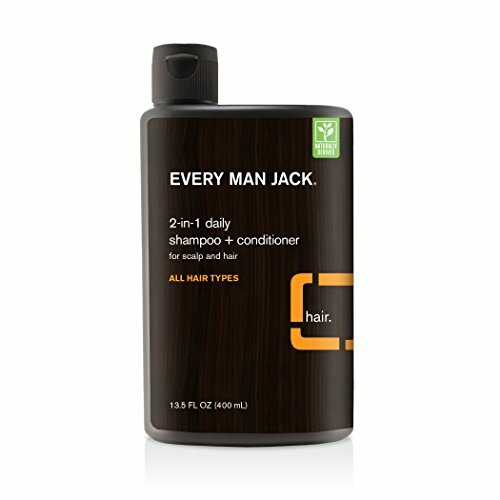 This Every Man Jack 2-in-1 daily shampoo and conditioner has coconut derived surfactants that clean your hair from roots to ends while the glycerin and shea butter condition and soften it. It leaves your hair consequently cleaner, stronger and softer. It is also ideal of daily use as it won’t strip your hair of moisture. It is also not heavy on thin hair and detangles curly hair. Additionally, it doesn’t have damaging sulfates that cause scalp acne. In terms of smell, it doesn’t overwhelm those with perfume sensitivities. However, it may not be as ideal as using a separate shampoo and conditioner set as it could leave your hair greasy, depending on your hair type, at the end of the day. And some people may find that it doesn’t make their hair soft but it does allow them to retain the same texture to the next wash day. Another downside is that your hair may not feel all that clean despite it being conditioned well. So the shampoo part may not work that well if you have oily hair and may find that you have to wash your hair twice with this shampoo. In that case, you may be better off going with a separate shampoo and conditioner set. This K + S shampoo and conditioner is separate which makes it more superior than the other shampoo and conditioners on this list. 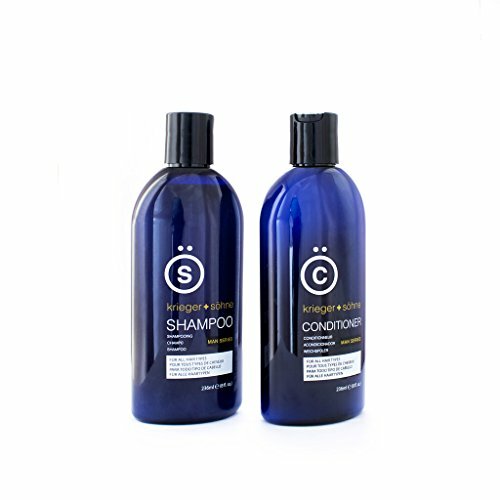 The shampoo is very concentrated which means that you only need a small amount to properly wash your hair. And it does a pretty good job at cleaning your hair, leaving a nice fresh scent with the help of tea tree oil. The conditioner leaves a soft and smoother feeling than other conditioners in the price range. It is however hard to get out of the bottle because of its consistency but it is quite effective in that you only need a bit to cover your entire head. It’s definitely a good choice to start with if you’re just starting to use a separate shampoo and conditioner set. This 3-in-1 shampoo, conditioner and body wash will leave both your hair and body feeling smooth and clean. If you prefer a simple hygiene and grooming routine and also have dry skin and scalp during winter months, the moisturizing ingredients in this product could work well for both your hair and body. The smell is nice and not overpowering so you may like using it head to toe. It lathers well and keeps hair soft and clean and you can feel quite refreshed after using it. It is relatively pricey but a little goes a long way. If you like your hair to be extremely soft, this 3-in-1 may not be the way to go. It’s generally recommended that you stay away from 2-3-in-ones and buy products individually. Plus, if you have a really dry scalp, you may want to stay away from this product. The consensus however seems to be that it actually works well as a body wash.
You can no longer get away with using 2-in-1 bargain shampoos. It’s time for you to invest in the better 2-in-1 shampoos we’ve highlighted in this list or simply go with a separate shampoo and conditioner set like the K + S one we mentioned above. Let us know which you’ve tried and how it treated your mane.